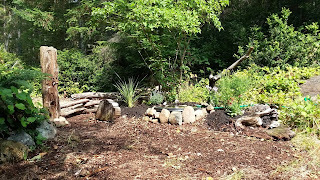 I started this Pond Project at the end of Spring, but things take time and other things needed to be done. This was mostly for fun! 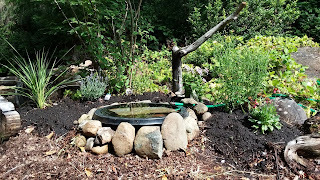 I relocated the small pond form that was a little further back in the foliage, with just enough open for me to see the birds. It's really my forest version of a bird bath. I get more warblers and ground scavenging birds this way. 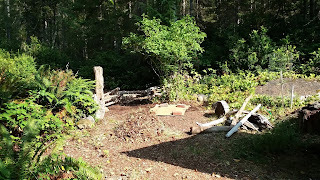 I used to have a large, tall bird feeder in the clearing in the back, but have decided to let the ecosystem re-balance itself for a while and took it down. There are plenty of berries and bugs for the birds to eat. I'm still providing water and habitat to qualify for my Backyard Wildlife Habitat status. I started with this rough layout. 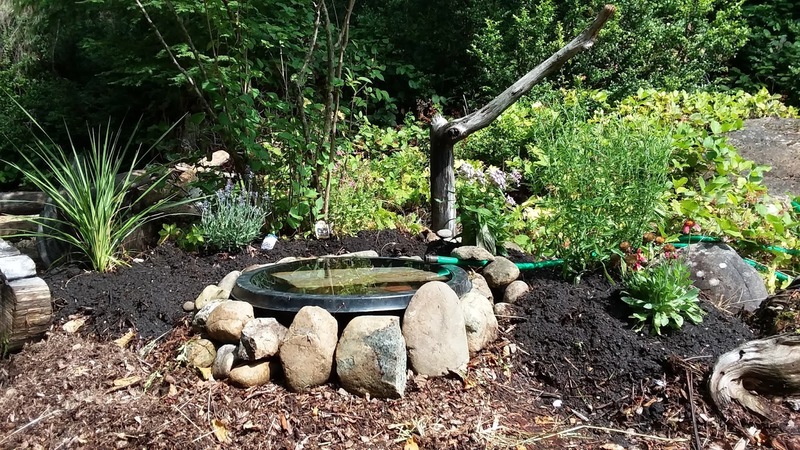 Then moved the pond in place and added the plants. I wanted some color back there so I added some colorful blooming plants for the hummingbirds and bees. I'm still tweaking the rockery, I want to hide the pond rim completely in the end. Next year the plants will fill in and I can divide and add more. Another extremely affordable project, all I purchased was the plants and some dirt. 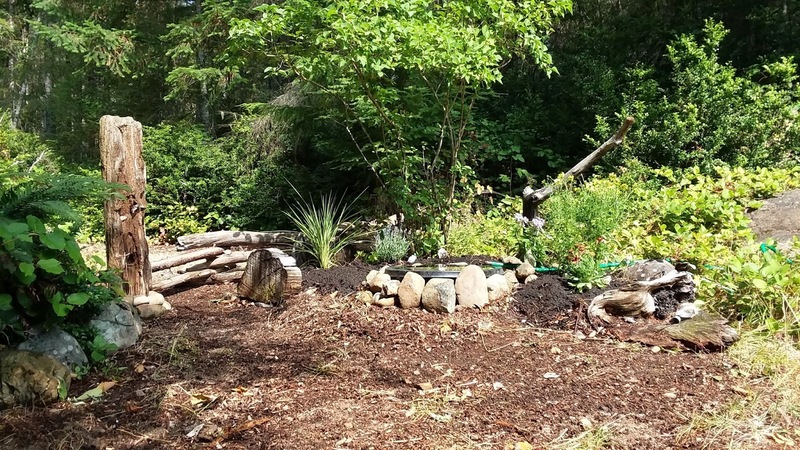 I had compost dirt and rocks are available everywhere here. More photos when things change a bit.